This badge was issued to Javier Dieguez on 08 Mar 2018. 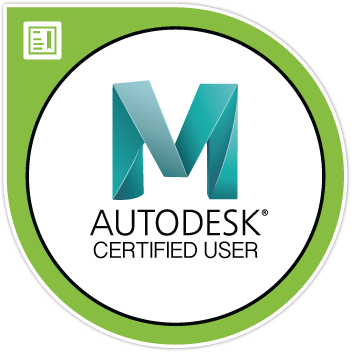 Autodesk Maya Certified User badge confirms students have developed the digital design skills needed to effectively use Autodesk Maya software. Knowledge demonstrated includes selecting, transforming, and organizing objects, modeling, working with cameras and lighting, shading materials, animations, rendering, etc.